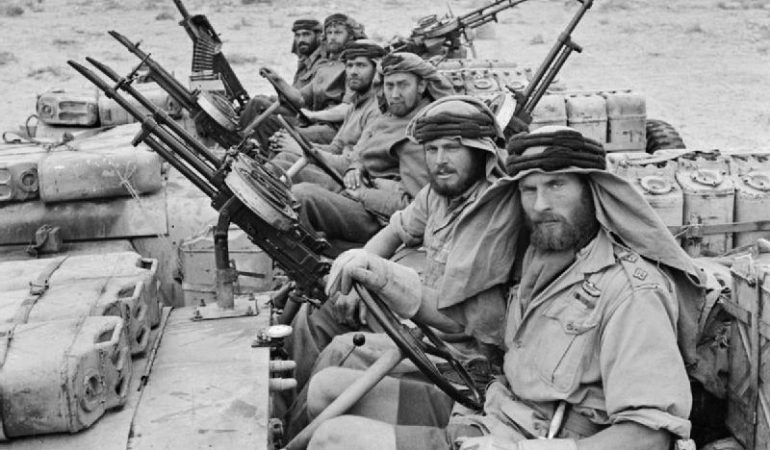 Heavily armed SAS (Special Air Services) ‘L’ Detachment troops in Jeeps after a three month long patrol in North Africa. They copied the LRDP style of Arab Headdress frequently during their missions in Africa. January 18, 1943.